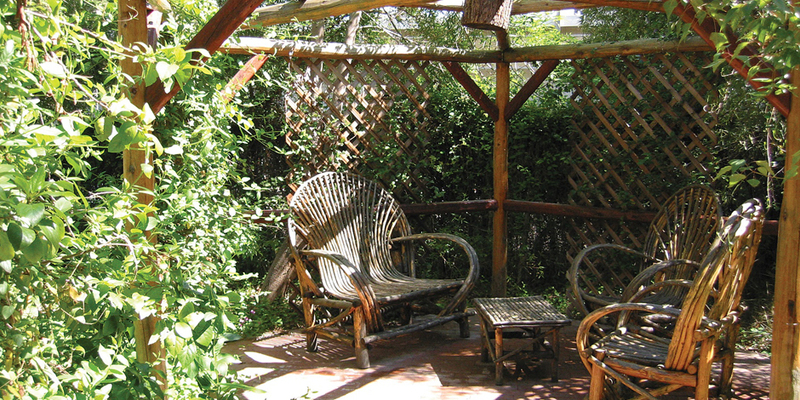 A Wooded and Tranquil Setting Nestled in the Heart of Central Phoenix, Arizona. LIVE IN THE WOODS….in Central Phoenix! Come discover Forest Park and see why so many others are calling us the best-kept secret in town! Located just north of downtown, Forest Park is a charming, gated community that is hidden and tucked away on lush wooded acreage with winding walkways and fountains throughout. You will love coming home to our serene and tranquil environment — Yet be minutes away from downtown, Melrose District, Camelback Corridor, Biltmore Area, restaurants, shopping, and all major freeways. Walk to the Light Rail. On Bus Line. Come tour our unique property today!